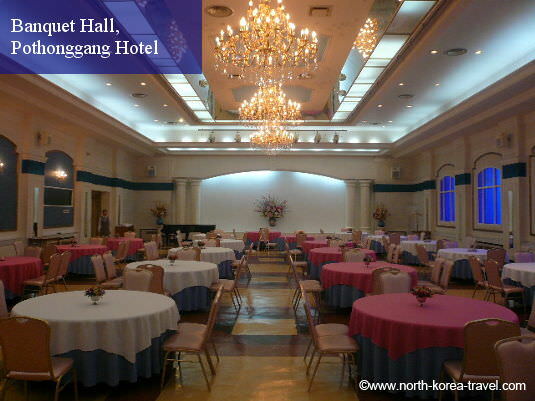 The Pothonggang Hotel is a deluxe hotel with 9 floors and 161 rooms located in a quiet, green and relaxing surrounding in Pyongyang by the Pothong River. It was built in 1973 and renovated in 1998. 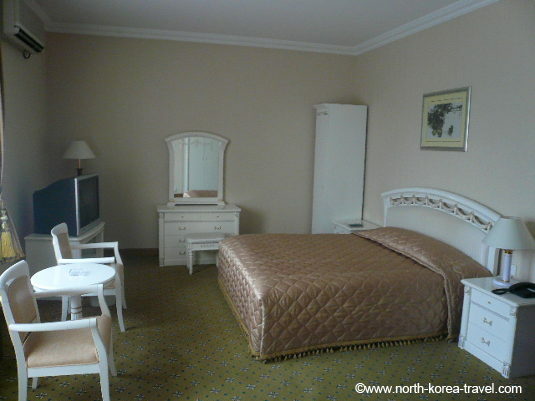 We mainly use this hotel for exclusive private tours in North Korea. 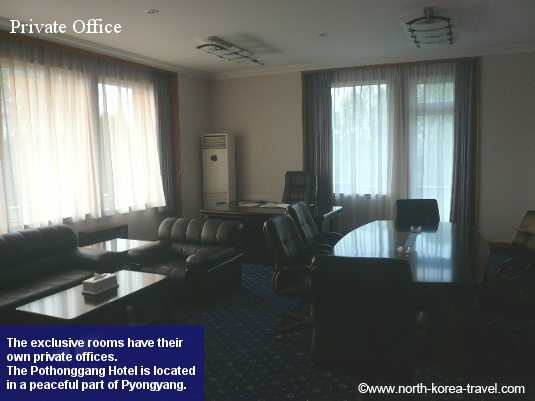 The hotel is located by the Pothong River (Gang means river in Korean) in the Phyongchon District, very close to the Central District of Pyongyang. 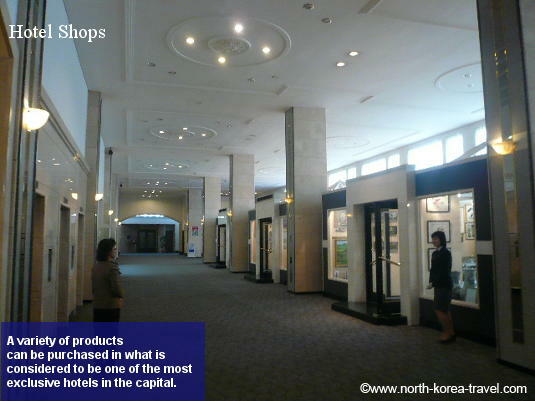 Close by you will find the Ice Rink, the Changgwang Health Complex, the Pyongyang Indoor Stadium as well as the Chongryu Restaurant and the Ragwon Department Store. 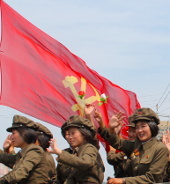 Please note that we can arrange visits to stores in North Korea as well as casual walks in cities whether you are going with groups (our groups tend to be small) or on a private trip to the DPRK. The hotel has an impressively large lobby where you will find the international communications centre from which you will be able to access the internet. The hotel also has a post office from which you can send mail and postcards to friends and family back home, which we are sure that they will love receiving. 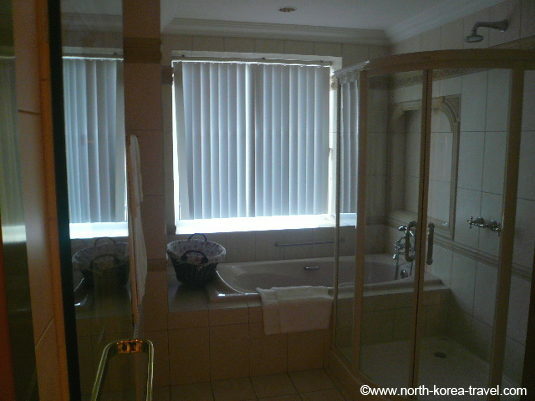 Rooms are very spacious with their own balconies from which you can see fishermen in the morning as well as North Koreans doing early morning exercise. 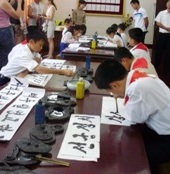 The rooms are divided into different categories. The First Class Exclusive rooms provide guests with their own private office and living room. International TV channels include the BBC, Al Jazeera and Russian channels. 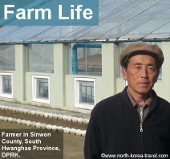 You will of course be able to see local Korean TV. There are different dining rooms offering dishes from a variety of countries. 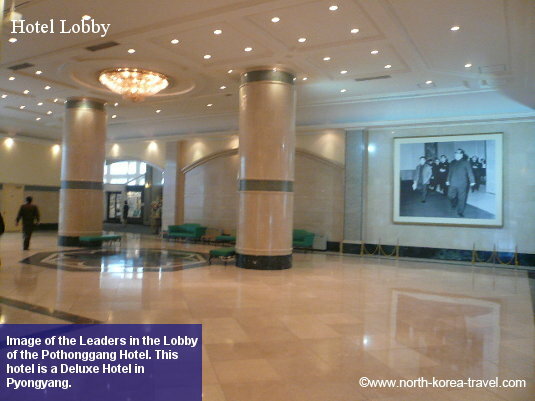 Please check our Pyongyang Hotels section to see other hotels in the capital of North Korea other than the Pothonggang Hotel or go to our North Korea Hotels page for an overview of hotels in North Korea.